Like most people, I dread the shopping malls after Thanksgiving. (Especially after working there.) I tend to do most of my shopping online during that time. The deals are often better, and shoes or pants are not generally required. I heard through the grapevine that Nyx had a 40% off sale, and I had to grab some goodies...since I try to avoid buying their stuff in stores (the lack of seals bothers me). 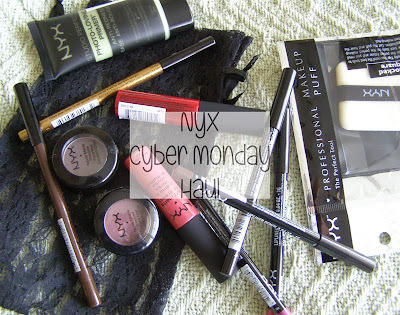 If you have never tried Nyx, I recommend you run to your nearest Ulta/Target/Computer and get something from them immediately. They have killer prices (I got this haul for $40) and great quality products. Their shadows aren't the most pigmented in the world, but they do apply nicely. The things you really need to live are the Slide On eye pencils, the lip pencils, and the Soft Matte Lip Creams. They are my all-time favorites, even when compared to mid/high end cosmetics. The eye pencils are awesome. Beyond awesome: fabulous. A dead-on dupe for the Urban Decay Glide-On pencils...at less than half the price. I will definitely be buying more of these. Brown perfection is the first brown pencil I have used and actually liked...ever. 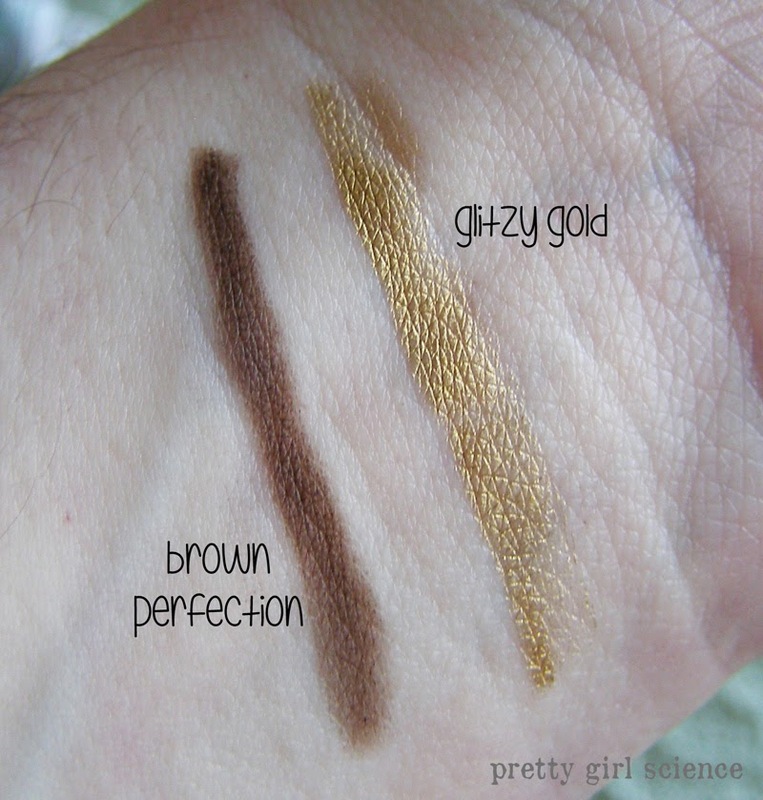 I used it in Face #1 on my waterline, and it is fabulously natural looking. 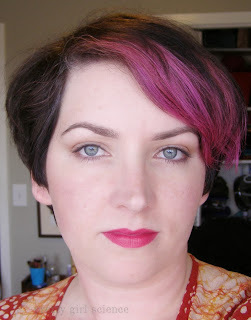 For those of us with dark brown hair, finding a good brown liner is nigh-on impossible. They always end up being super warm. If you have tried and failed to find a good espresso brown, then this one might be The One for you. I can't wax as poetically about the gold. Not because it is less awesome, but only because I haven't used it as much as the brown. The lip pencils are another win here. Lovely colors, easy to apply, and true-to-tube color. I even got a BLACK lip pencil. After 20 years of using an eyeliner (I know, I know) I finally have a proper black lip pencil. They don't last a super long time on me, but I'm a compulsive lip-balm-applier, so I am definitely not the best person to measure longevity. I get about two hours of fade proof wear, which is admirable for me. Honestly, I could care less if they lasted 10 minutes. The colors are great, and for less than $5 they are great quality. I'm not going to get into each product in-depth. The eyeshadows were a tiny bit of a letdown, honestly. 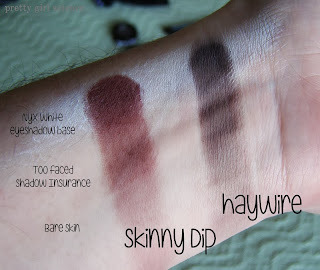 I have a few other Nyx shadows, and I found these lacking by comparison. They absolutely require primer underneath to get a true color. 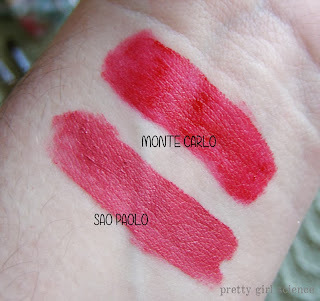 I loveLOVElove the Matte Lip Creams, and they deserve a post of their own. They are unbelievable. I have been saving the the last bit of my green Smashbox primer to compare the the Nyx version. I've used it a few times, and didn't notice any difference. It definitely deserves a side-by-side comparison. Once this work business is over, I will be doing that. I feel the same way about their eyeshadows too. I love their lip products! 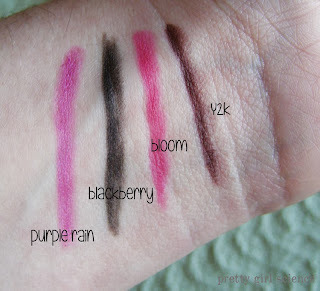 Its such a shame, because their liners and lip stuff are top-shelf. I mean, they aren't *bad*, but they aren't near as awesome as their lip stuff. I love their lip pencils, too! If you leave them be long enough they'll stain your lips for less frequent application. I'm a bit of a fidget, but I will try to leave them alone. I am in love with NYX soft matte lip creams! They are AMAZING!! And their jumbo eye pencils! That is a great haul. You'll love Monte Carlo. I already do! How can I not love a long-wearing matte lip...that tastes like frosting? !